All students in the Sixth Form continue their study in Theology and RE. 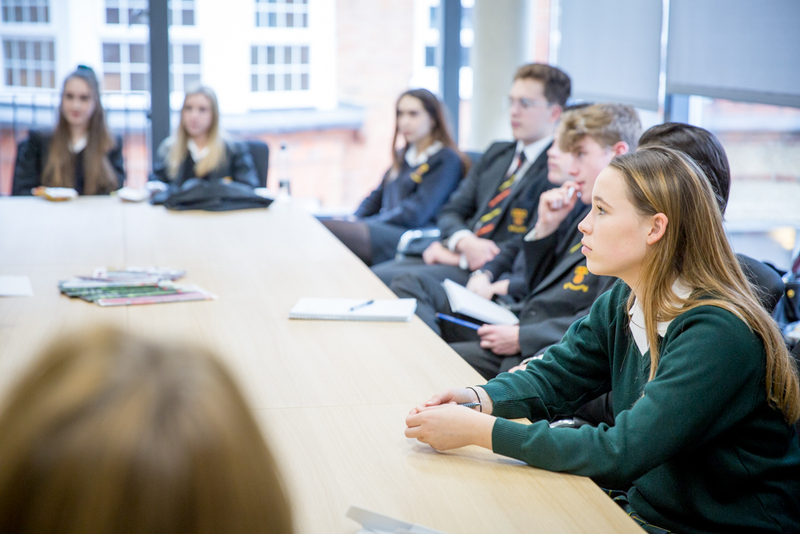 They may do this in one of two ways: either through a specific A level in Philosophy, Theology and Ethics, or through a general programme in RE devised by the school. Religious Studies enables students to address some of the fundamental issues affecting humanity. It is probably the last truly ‘liberal’ subject in that it seeks to equip students to approach the big intellectual issues such as how we know things (epistemology), what can be known or said about God (theology) and how human beings should live their lives (ethics). Most human beings have been, and continue to be, religious beings. Knowledge and understanding of religion has never been more important both for understanding of both human history and human experience in the modern world. Moreover, it instils in students the discipline of academic reading and the ability to synthesise from a wide range of information with the goal crafting holistic, coherent arguments. These skills are widely sought at university level. There are three components to A level Religious Studies: Philosophy, Ethics, and Development in Christian Thought. Students are challenged to engage with primary texts from some of the most influential thinkers in Western culture, and also have the opportunity to identify key questions and debates which have shaped Theology and Philosophy as academic disciplines. The beauty of this course is that it encourages students not merely to find the ‘right’ answers, but to learn to ask good questions and develop curiosity, which surely the foundation of all education.